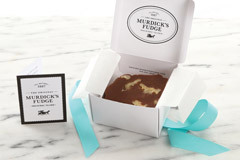 Original Murdick’s Fudge wedding favors add a sweet touch to your special day! Our sweets consultants at Original Murdick’s Fudge are starting to hear those wedding bells ring, ring, ring, as wedding season approaches. According to wedding-industry statistics, the most popular month for weddings is June. August, May, July, September and October follow June as the months in which most weddings occur, in order of popularity. Most wedding attendees prefer sweets — and especially something chocolate — to anything else at a wedding (besides watching the bride and groom say, “I do!” of course). A Michigan bride and groom chose a Gatsby-style fudge favor for their special wedding dinner. We’re betting that as sure as there are horses on Mackinac Island, brides, grooms (and also event planners) are musing right now about just what to serve at their upcoming big day or the happy activities that lead up to it, including showers, engagement parties, you name it, say Original Murdick’s Fudge Sweets Consultants. 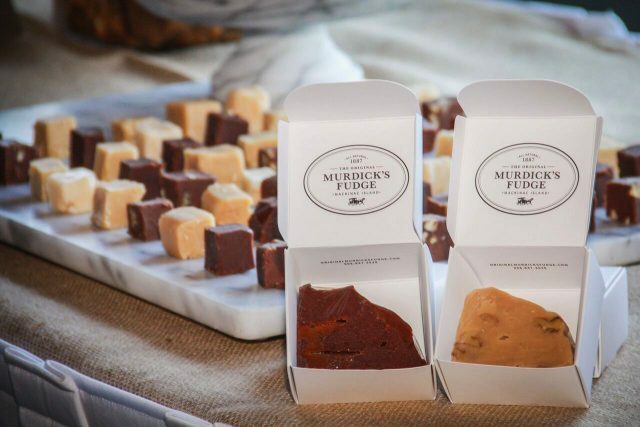 In the past few years, our customized and specially designed Original Murdick’s Fudge wedding favors have been shipped to happy couples throughout the United States. Our brides and grooms range from those who are getting married locally on Mackinac Island to those who are tying the knot in faraway ports, but who just want a slice of Michigan to remind them of home. That was the case for one bride who tied the knot in North Carolina and wanted to bring a bit of Michigan to her gathering. Consider it done! To discuss your wedding and event ideas, customized sweets options — ranging from gorgeous favors to our fabulous Mackinac Island SweetBar — and pricing, contact our Sweets Consultants. Our custom favors can range from rustic to elegant to just about anything in between, including some of the fun examples you’ll read about below. They’re a sweet touch to any special celebration. 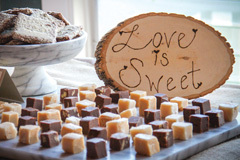 Original Murdick’s Fudge customized wedding favors can range from rustic to elegant to just about anything in between. ♥ For those who want just a fantastic favor, we’re ready to roll with quarter-pound individual fudge favors that we think look great placed at dinner-table place settings or offer as special take-home favors. ♥ Our wedding and special event coordinators are available for complimentary consultation and are happy to work with you on one-of-a-kind personalization options and themes. All SweetBar options include display set-ups that are custom designed to coordinate with your weddings and special-event theme and colors. ♥ Our Original Murdick’s Fudge sweet treats are handmade on Mackinac Island using only all-natural and gluten-free ingredients. It’s a sweet ending to your beautiful beginning! 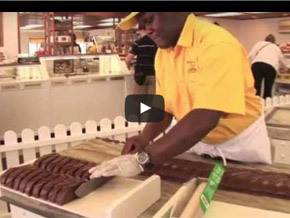 The Original Murdick’s Fudge SweetBar features a variety of delicious all-natural treats. 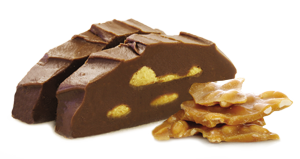 Original Murdick’s Fudge SweetBar brims with everything from taffy and toffee to brittle, caramel corn and, naturally, Pure Michigan fudge! Whatever your theme (or if you’re steering clear of themes), we’ve got you covered, er, chocolate-covered, that is. Looking back to past wedding events at which Original Murdick’s Fudge offered sweet treats, one of our favorites included a Michigan-themed wedding. 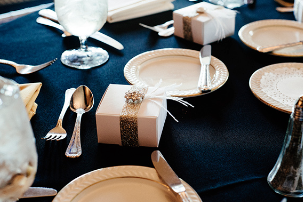 We also enjoy fashioning Gatsby-style fudge favors for a bride and groom’s special wedding dinner in metro Detroit. That particular bride and groom were all about 1920s glamour and our sweets consultants at Original Murdick’s Fudge came through with elegant packaging (see top photo) adorned with a few elements of which The Great Gatsby’s Daisy and Jay would approve! Then there was a whimsical Mad Hatter’s Tea Party. Wow, would Alice and her friends have been swept away by the treats we provided there! ♥ New & Now: We’re especially excited this year as we put the finishing touches on our new sticker batches. If brides and grooms would prefer something as simple as a fudge favor in our iconic white box, we seal them off, for example, with a cute “Love is Sweet” sticker. How charming is that? 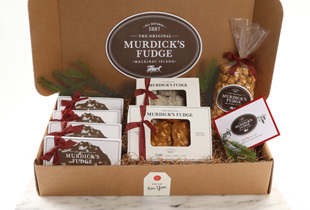 Original Murdick’s Fudge SweetBar options can be customized to your specific desires. ♥ Granules Of Goodness: Our SweetBar options are as varied as our taffy colors! A favorite option is the Mackinac Island SweetBar, which includes bite-size fudge and English toffee served on a marble slab; and jars and baskets of treats from which guests can scoop their own brittle (peanut, cashew and pecan), taffy and caramel corn into their own bag. 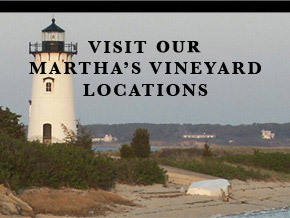 This option also includes a take-home, half-pound slice of a fudge favor (choose from some 16 flavors, including Chocolate Peanut Butter and Double Chocolate Caramel Sea Salt), in an iconic Original Murdick’s Fudge box, or a quarter-pound piece of fudge in a personalized 3- by 3-inch white box. ♥ Ready For Any Occassion: We also can provide these products and services for graduation parties (with custom monogram fudge-box stickers or high school/college logo stickers); corporate events (with custom business logo fudge-box stickers), high school banquets, you name it! To discuss your wedding and event ideas, customized sweets options and pricing, contact our Original Murdick’s Fudge Sweets Consultants. Hi. Can you give me a ballpark quote on individually boxed pieces of a white fudge with colored sprinkles for wedding favors? I’m expecting about 60 guests. Thank you. Hi Jackie. Our sweets consultants can help you plan a wonderful event! 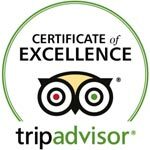 Send them an email with all your details to sweetevents@originalmurdicksfudge.com. Have fun planning your big day!